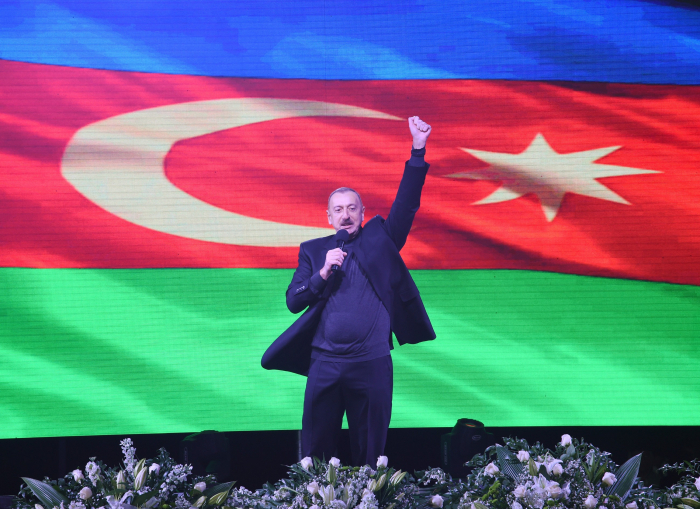 One year has passed since Ilham Aliyev’s re-election as President of the Republic of Azerbaijan. 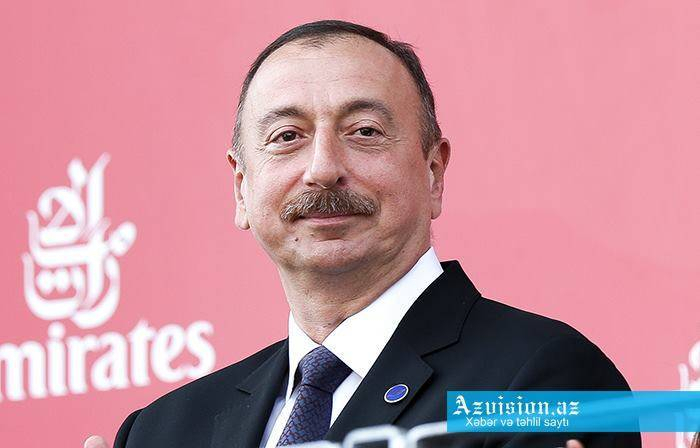 Ilham Aliyev garnered 86.02 percent of votes in the presidential election held in Azerbaijan on April 11, 2018. 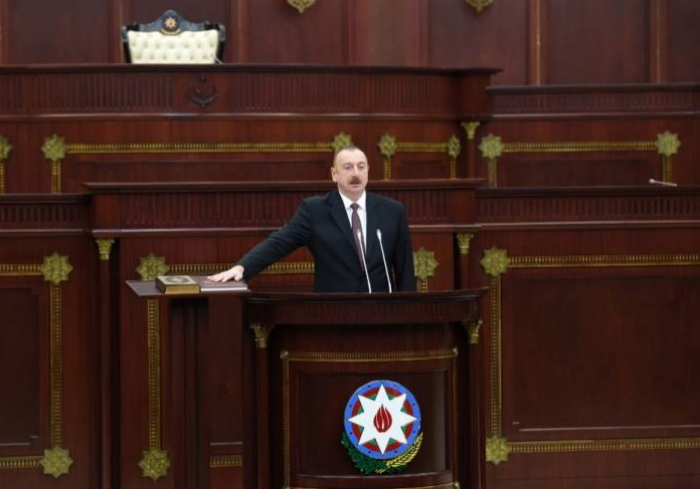 Addressing the inauguration ceremony at Azerbaijan’s Milli Majlis (Parliament) on April 18, President Aliyev said new reforms will be carried out in the country. “If we take into account plans to carry and deepen reforms in the coming years, I am sure that the living standards of our people will become even higher,” the head of state noted. The first decree signed by the head of state immediately after the presidential election was aimed at improving the living conditions of martyrs’ families. Based on this decree, the state began providing martyrs’ families with a lump sum in the amount of 11,000 manats. Under another presidential decree dated 28 January 2019, the list of martyrs’ families, who will receive 11,000 manats, has been expanded. In addition, the head of state ordered to raise the presidential pension to martyrs’ families from 242 to 300 manats. Over a past year, serious reforms have been carried out in various spheres in Azerbaijan, labor pensions, minimum wages and allowances have been increased in the country. 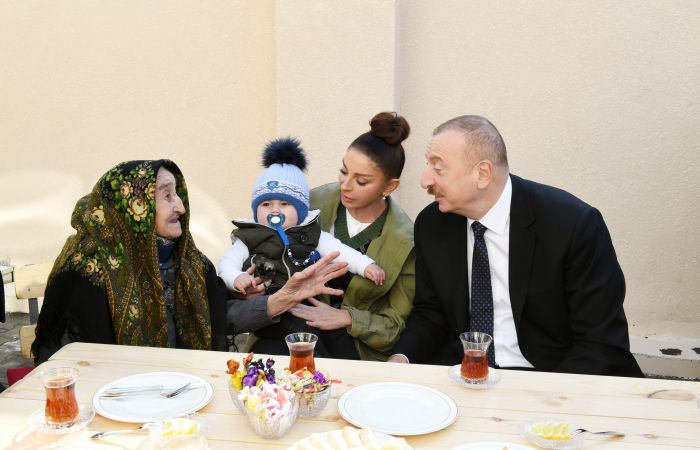 The meeting of President Ilham Aliyev and First Vice-President Mehriban Aliyeva with the 10 millionth citizen of Azerbaijan Mehriban Hasanova’s parents, their meetings with cultural and art figures, as well as the president’s visits to the quake-affected districts of Azerbaijan and other similar steps were welcomed by the people. 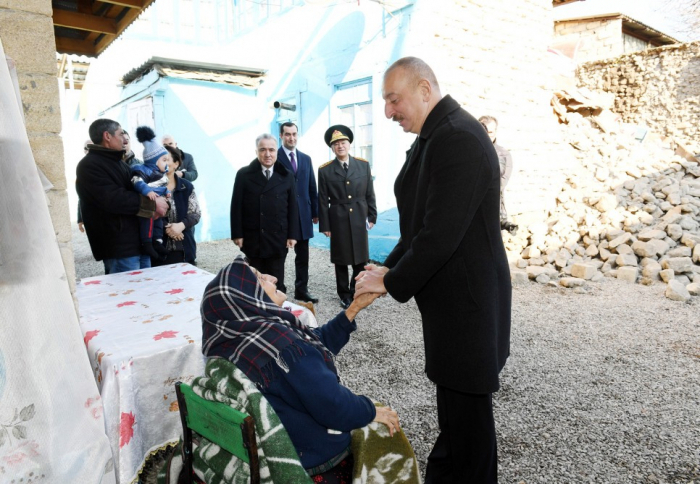 Over the past year, President Aliyev made 27 visits to 22 cities and districts of Azerbaijan, and attended the opening of 93 new socio-economic facilities. The French Opinion Way Research Institute has recently conducted an extensive survey in all regions of Azerbaijan, excluding Nakhchivan Autonomous Republic, in order to learn the attitude of the country’s population towards the current socio-political situation in the Republic of Azerbaijan, the course of reforms conducted by President Ilham Aliyev over the past year, and, in general, domestic and foreign policy of the Azerbaijani government. 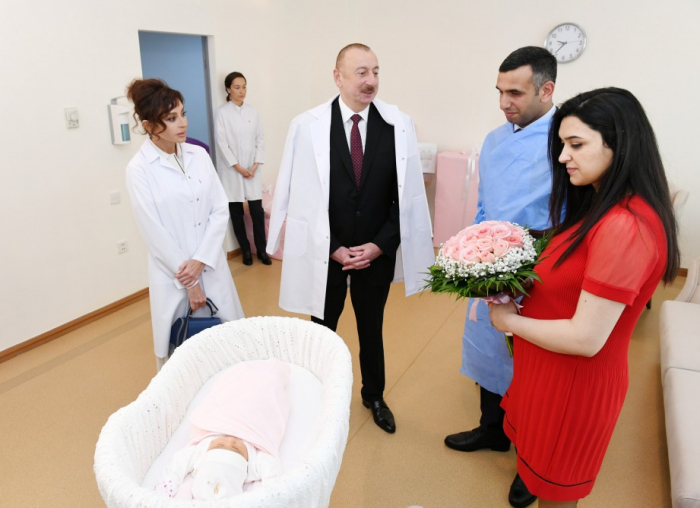 According to the survey results, 80.1 percent of respondents described the maintenance of the current socio-political and socio-economic stability in the country as the most successful outcome of President Ilham Aliyev's activity. 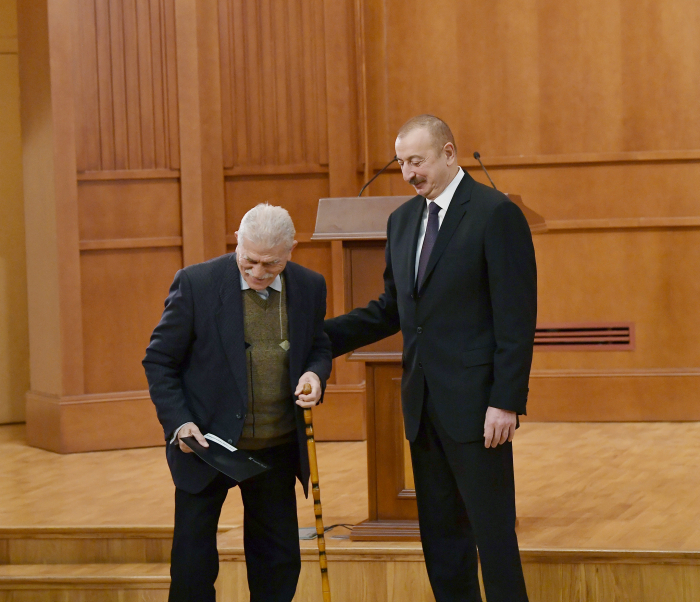 To the question "How do you evaluate work done by President Ilham Aliyev over the past year? ", 85.1 percent of respondents generally answered "positive". Respondents’ answers in the Opinion Way survey reaffirm that the Azerbaijani society places great confidence in President Ilham Aliyev. Generalized average results show that if the presidential elections were held again today, Ilham Aliyev could gain 83-85 percent of votes, absolute majority of the country's electors.